Today we are discussing what makes for the best acoustic guitar pick-up. An ideal solution for those who don't want to fork out on a top of the range acoustic-electric guitar but need sound amplification. Whilst it's true many acoustic players will perform in front of a directional mic, they limit the guitarist to staying in one spot. If it is not a particularly high quality mic it won't do you any justice. Adding an acoustic guitar pickup system to your guitar allows for mobile amplification, true to the sound as well as introducing the opportunity to enhance your sound quality with effects in the future. When it comes to choosing the right pickup for amplifying your acoustic guitar, there are different pickup types, they function in many manners, some are simple just sending a signal at the level of volume chosen, others allow you to change the tone before it's sent. Some effortlessly clip on and off letting the player choose to temporarily change their acoustic instruments capabilities. 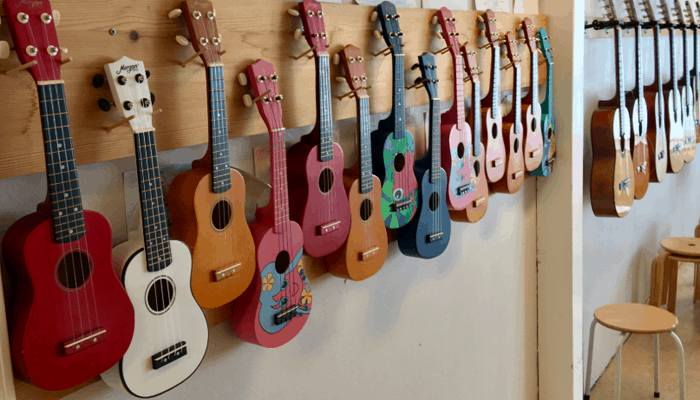 Some are much more permanent requiring guitar modification, taking your prized possession apart which can be a step too far for some and risky business in the hands of the inexperienced. What to look for when buying an acoustic guitar pickup? 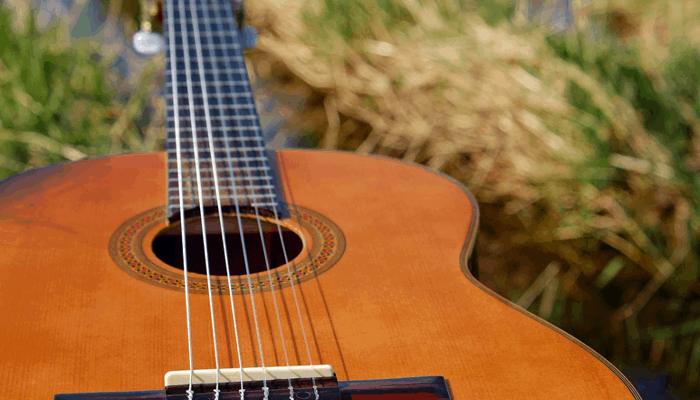 How much does it cost to put a pickup in an Acoustic Guitar? 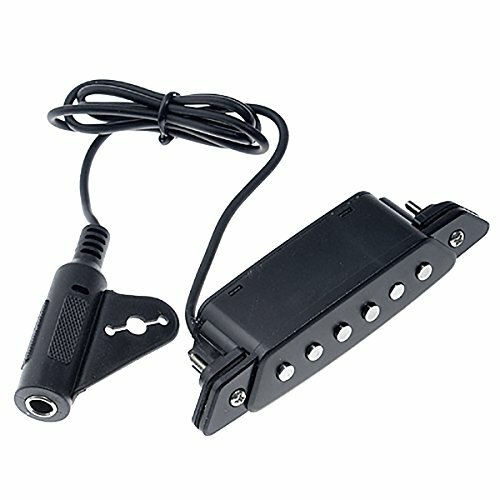 How to install a Guitar Pickup for Acoustic? 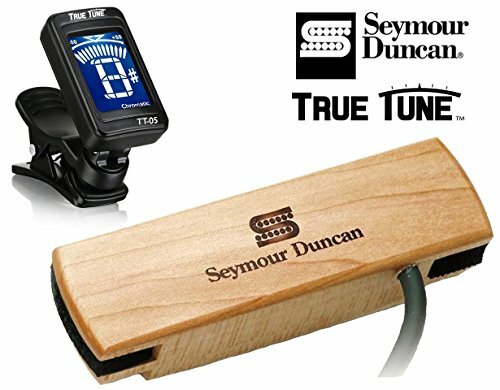 Best Sounding Acoustic Guitar Pickup? Best Acoustic Guitar Sound-hole Pickup? 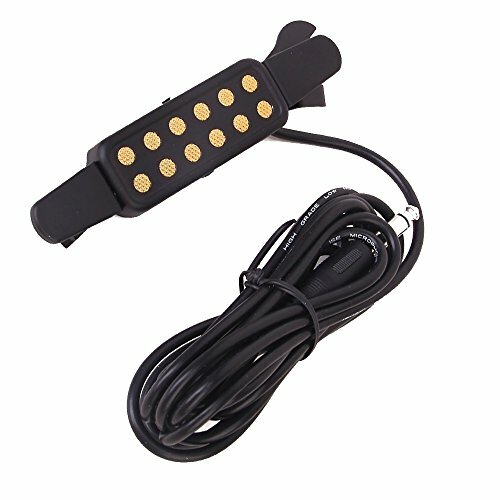 Best Under Saddle Pickup for Acoustic Guitar? Despite the many factors to think about before buying a pick-up, we are optimistic our reviews and buyers guide will instill a bit of wisdom and talk you through your options. The 3 meter cable allows for a good range of movement. No battery, no on-board electronics. Minimal drilling installation (end pin hole size). Can be used with steel or nylon strings. 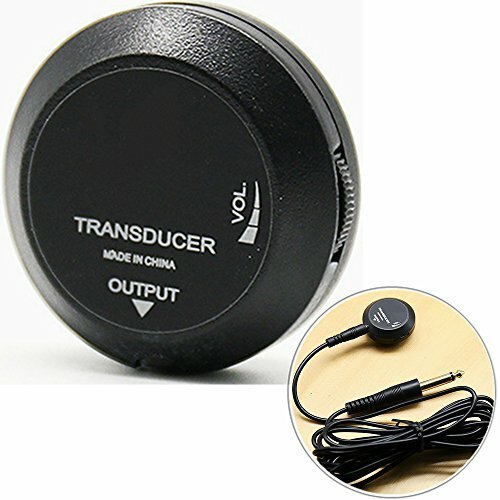 The Luvay Transducer pickup is shining example of an inexpensive modification free way to transform your acoustic into a powerful acoustic electric guitar. It has had a few disappointing reviews but for 12 bucks we feel perhaps the expectations were probably set too high. The Luvay Transducer pickup provides a pretty decent sound and does exactly what it says on the tin. Some people have experienced feedback issues this seems to be from hand contact so if you like to spank your guitars' strings it might not be the one for you. Minor faults aside it is suitable for home use , practice and recording down ideas before they disappear. The Luvay Transducer pickup is contender for our top ten, not for its perfection but for its contribution to providing acoustic amplification to those of us not lucky enough to be lavish with our music accessories. 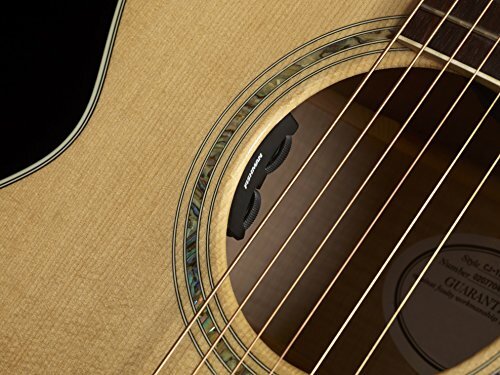 It has an easy-clip design feature makes it simple to clip straight onto the rim your sound hole and first most sizes, it has magnetic pickups for use with steel strings. It's rich warm tones are a pleasant surprise. Whist it is a removable pickup for amplifying your acoustic some users find the cable is a little in their way if you find that to be the case it can be run out of the back with a drilled hole. + The 3 meter cable allows for a good range of movement. 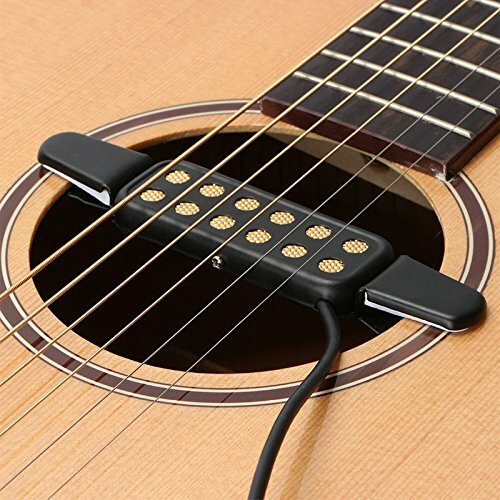 Why We Liked It - The Luvay Transducer pickup is a good no-frills option which installs effortlessly in seconds at an unbeatable value for money. The K&K Pure Mini provides a full rich sound, the 3 transducers each pickup a pair of relative strings, whilst detecting a larger portion of the space around them. They are placed further away than the surface transducers typically found in an under-saddle pickup for amplifying your acoustic guitar so they also transmit cross-soundboard, this gives a softer representation of the natural tone as some pickup systems can seem tinny or percussive. Using the soundboard reverberations as well as sharing the strings between transducers allows for a better balanced overall sound quality it is not as thin as some under-saddles can feel. The K&K Pure Mini better represents the original whole tones of your acoustic guitar. Discreetly mount inside the guitar under bridge plate. A lot of them come with useful plastic tool thoughtfully designed specifically to help with correct placement which is really helpful can be awkward to access the inside of your guitar. + No battery, no on-board electronics. + Minimal drilling installation (end pin hole size). + Can be used with steel or nylon strings. Why We Liked It - This The K&K Pure Mini soundboard transducer is a brilliant bare bones, lightweight system, It provides a high sound quality with minimal feedback. Installation doesn't require any drastic changes and if handled professionally shouldn't affect resale value in the future. PLUS it can be used with steel or nylon strings. L.R Baggs have been creating cutting edge solutions for amplification for decades. Their long awaited blend modes which incorporate what they have dubbed a TRU-MIC left us all waiting in anticipation. Although the L.R. Baggs ANTHEM-S requires End-pin modification and gluing to bridge-plate, this awesome blended in guitar mic option does a top job at offering superior sound. Featuring award winning technology and mounted sound hole control with high quality circuitry. You can blend the mix by twisting between the volume control and pick-up levels creating tones typical pickup systems just can't achieve. Feedback can be an issue at high levels of volume. The L.R. Baggs ANTHEM S has a long battery life. The L.R. Baggs ANTHEM S system is mounted to the underside of your bridge plate, and the mic is on the underside of the pick-up, combining the internal external sound picking up nuances in the guitarists playing and ultimately giving a more honest sound. Delivering studio mic quality wherever you perform. Why We Liked It - This makes for a pretty decent option if you’re particular about your tone as it has better control options than most. This is a fantastic mini guitar pick-up which works with both nylon string guitars and steel string guitars. In terms of the structural design it is made of steel which helps prevent noise disturbance, it appears a pretty sturdy encased contact transducer pick up come contact style pick ups are flimsy and delicate this seems pretty robust. It easily attaches with its self adhesive stickers (usually included) anywhere near the sound hole no need to mutilate your acoustic instruments! The Piezo uses the soundboard vibrations to create a signal. You can adjust the volume with its simple controller allowing for some flexibility with your level which also helps against feedback when you use it through an amplifier. It reproduces high sound quality comparable to a great condenser mic and is highly affordable. 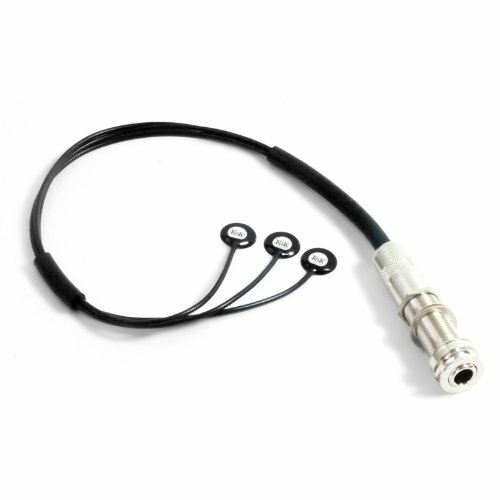 + Suitable for a variety of acoustic instruments. Why We Liked It - It is a clear forerunner for sound tone with its high fidelity crisp sound and although this reviews focus is mainly on the best acoustic guitar pickup we love that this is a nylon supporting option and therefore suitable for Ukulele, Cello, violins etc. This is a wonderful blended pickup option and part of an award winning series. Blended mic and pickup models are really only just coming into their own and this one has undergone plenty of tweaking. L.R Baggs have been at the forefront of innovation for amplification for years with their famous Baggs Dual Source system being a popular choice. 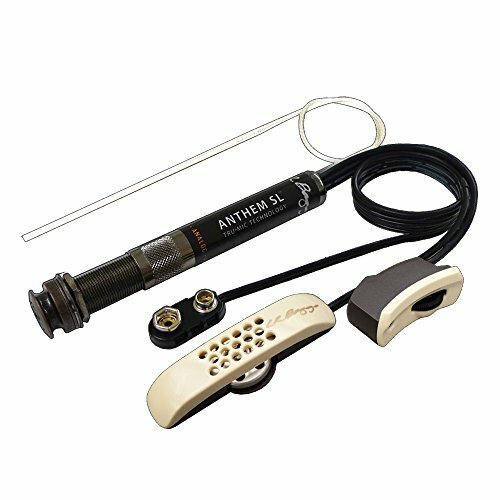 The Anthem utilizes a rare element traditional Piezo pickup for amplifying your acoustic guitar. The Piezo works in conjunction with a high definition condenser microphone, specifically engineered to a high standard. Developed with high tech noise canceling abilities that help combat the boxy characteristic that we sometimes hear from internal mics. It really is the epitome of pure quality feedback resistant sound. You can mix the mic and pick up controls an fine tune the right blend for you. Where this system differs from other blended systems is it relies mainly on the microphone as the primary using the Element to tackle the lower frequencies. This gives a great tone of course most Piezo pickups are known for being very good with the treble end and are even bashed on occasion for exactly that. So this crossover really helps address the issue. 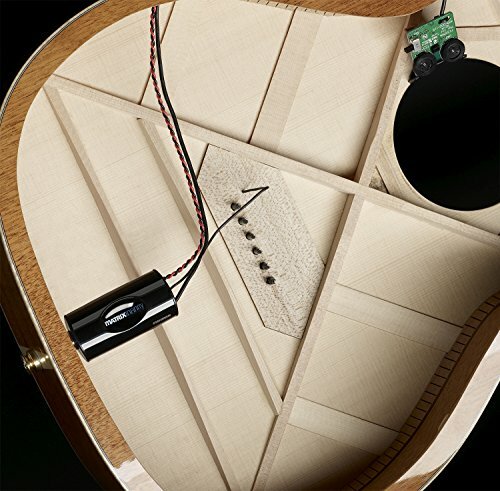 + Mix, phase and volume controls that sit unobtrusively inside the sound hole. Why We Liked It - Like The SL version reviewed above if offers superior level sound, this Piezo active acoustic guitar pickup will likely be a little more synthetic sounding, but it does have added benefit of integrated feedback solutions. This magnetic, sound-hole pickup from Fishman has been ameliorated and re-voiced to a provide smoother treble response than previous popular models. It Simple design dictates it's straightforward use. Pop it in and plug in for hassle free warm, Humbucking sound. It offers active electronics for cleaner sound with less degradation than a passive alternative and great string to string balance. Featuring cutting-edge magnets formed from a rare earth element; neodymium which is obviously what inspired the product name! It is of solid construction with top quality discreet, low-noise, low current circuitry which is what maintains an accurate and more pure signal. This active acoustic guitar pickup is a stacked coil pickup for a quieter reproduction of natural acoustic tones. + Fits sound-holes as small as 3 5/8” (92 mm) diameter. + Active 1 x 3V lithium / 2 x 1.5V Silver oxide. + Pre-wired output jack can also be end-pin mounted to keep it conveniently placed and hidden. 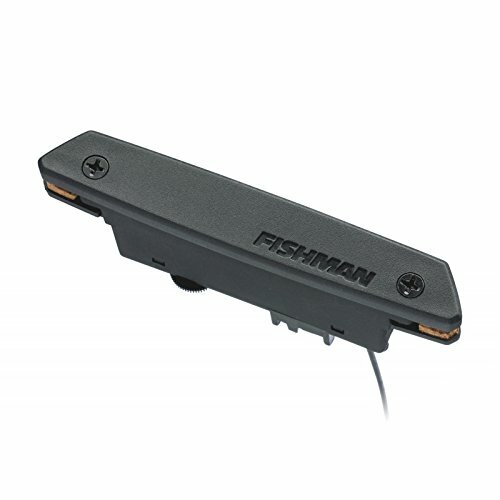 Why We Liked It - This Fishman active acoustic guitar pickup has been refined with exceptional accuracy fits smaller sound-holes (which can be a problem especially if you are looking to mount it on something other than a guitar) and Fishman are brand which has helped define acoustic pickup technology. The Kmise is a great sound-hole option from Belcat, a relatively new brand that have been rapidly developing and branching out since 1988. With their innovative design team they are devoted to building their brand and providing high quality reproductions of leading products, for a fraction of the cost. Their progress can be seen in their equivalent guitar pedals and amplifiers which do great job at achieving exactly this. The majority of those who take a punt on a low cost alternative like the Kmise SH-85 find their needs are more than adequately met with this product. Whilst it is isn't going to provide a sound suitable enough to fill a stadium it has a good bass and mid-range response and is ideal for practice and intimate venues. It features an individual pick up for each string. It dimensions maintain that it fits standard sound-holes. + Perfect choice for amateurs. + Shock absorbing foam on the brackets. Why We Liked It - It is a quality, no fuss, sound-hole mounted pickup which delivers a great tone sound. Surprisingly capable for a 'cheap and cheerful' option. 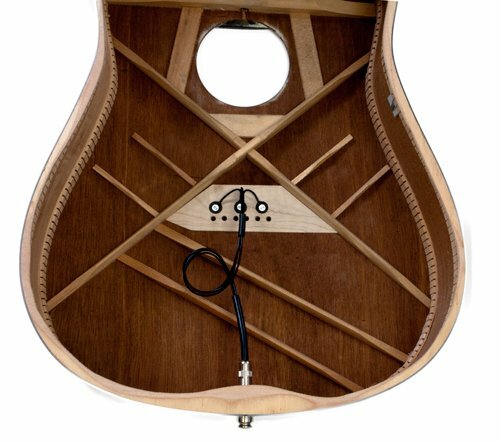 hese passive pickup systems come in a variety of different stained wood housing which is double layer for added protection against feedback. The Semour Duncan pickup has a 14 foot low capacitance cable and fits standard sound-holes. Seymour Duncan aren't particularly well known for their pickups, so hats off to them for venturing outside of their usual comfort zone. + Wood housing (low feedback). 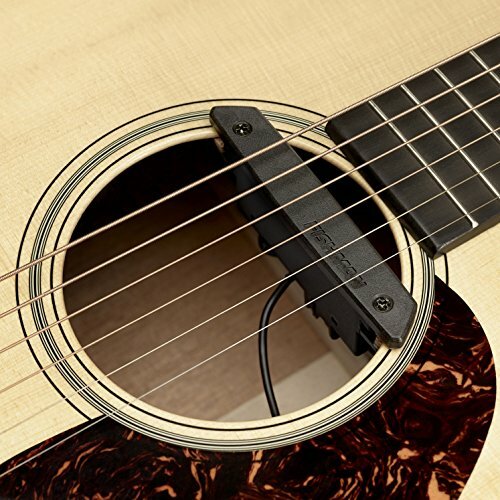 Why We Liked It - It is one of the best acoustic sound hole pickups on the market, it offers a sensible solution to counter magnetic drawback and is ideal for playing near electronic programmed lights that have been known to interfere with electronic pickups. The iSolo Wireless from CloudVocal is next on our list. A wireless microphone system which is a pretty conventional solution for acoustic pickup. Its marketing is primarily aimed at recording and music sharing. 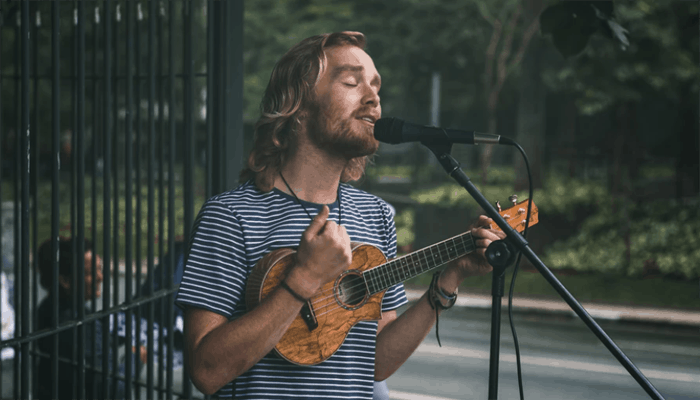 When it comes to recording an acoustic instrument you almost always want to use a microphone for high fidelity and interference prevention. The iSolo is a good example, featuring a cardioid -like condenser mic. It has a flexible goose-neck for optimal adjustment into the perfect placement for picking up sound. record directly to your laptop or phone. This wireless transmitter has a USB interface receiver that send your signal straight to the computer for capture. Effectively a wireless USB mic. For live use you will need to purchase the receiver to place in your amp. Whilst not a traditional pick-up it is the obvious choice if you only require electrifying your acoustic guitar to record your tunes down. + 3 stage gain settings. + Easy to use and no additional drivers needed. 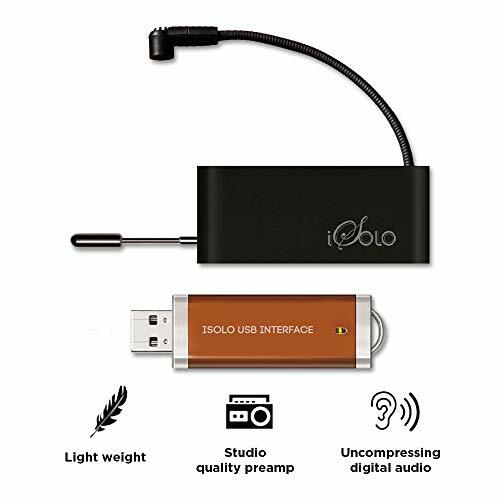 Why We Liked It - It is an ideal option if you are looking to record your acoustic guitar, the device is pretty impressive and couldn't be simpler to use... It isn't necessarily the obvious choice for performance but we think it is an outside of the box choice and the easy recording capabilities deserve a mention. Which is why it made our shortlist of the top ten best acoustic microphone pickups. The Fishman Matrix Infinity Undersaddle exemplary end pin mounted pick up is the next logical evolutionary step in Fishman's Matrix series the infinity features a complete re-design and fine tuning, most notably it introduces a sealed enclosure for the legendary acoustic matrix one of the best selling under saddle microphone pickups. Benefiting from Fishmans 25 years of research and development in their field, it represents true cutting-edge sound capture. The volume and tone controls are rotary and sound-hole mounted meaning they are very accessible. 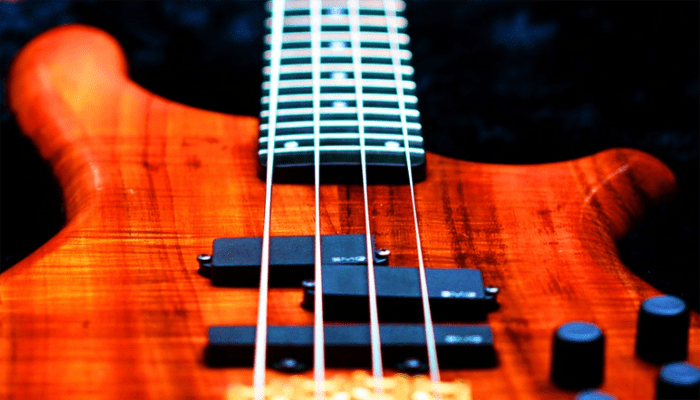 The tone control can be used to boosts mids or treble and bass by varying its rotary position rather than cutting each of them off which tone controls often do. The cardioid condenser microphone capture a much more tactile tone. The additional voicing switch feature allows users to effectively recreate different body sizes for their guitar, changing the acoustics by cutting relative frequencies. The Fishman Matrix Infinity Under-saddle pickup has a soft touch end-pin mounted pre-amp which does recommend professional installation. + Available in 2 different saddle slot widths. + Features the worlds best under saddle pickup. + The volume and tone controls are rotary. Why We Liked It - This pick-up means business, the controls are conveniently located and offers some interesting on-board tone options. 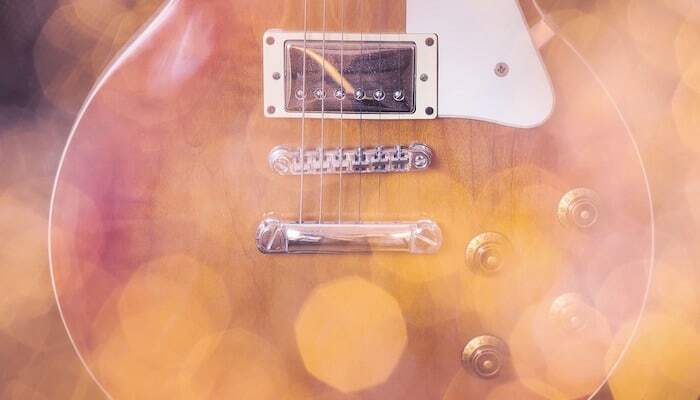 The first important issue to address before you purchase a pickup is whether or not you’re willing to modify your guitar to install it, whether you are competent enough to do the job or need someone to do it (most guitar stores will have someone suited to the service for a reasonable price). 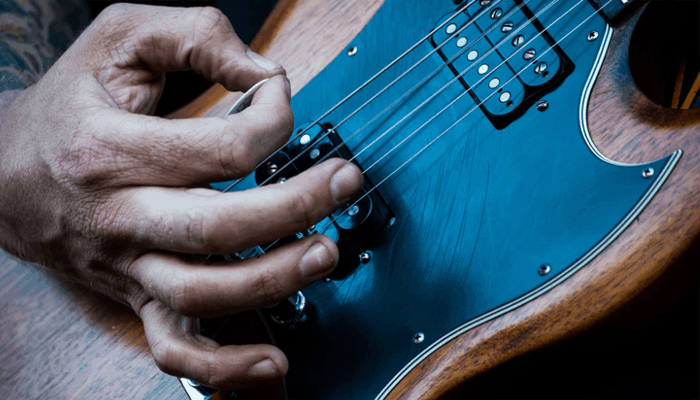 There are pickups that require more modification than others in order to install if your guitar has any sentimental value to you you may want to steer completely clear and opt for a clip on solution. What to look when purchasing a pick up bears direct correlation with it's intended use is it for practice, experimentation, live performance or recording. There are different Pickups which are better suited to each so here are some more technical aspects to mull over. Piezo pick-ups (pronounced “pee-YAY-zoh”) will almost always require modification because of how they’re designed, placed under your bridge they are type of microphone that works by converting the physical vibration of your guitars' strings into a signal using a compressed crystal. They are generally inexpensive, and sound bright. Another drawbacks besides the dreaded drilling, is the sound is not as natural as it could be. However they are the better option in regards to feedback and are awesome at cutting through the mix making them ideal for live performance. Piezo pick-ups are actually a much older technology than magnetic pick-ups. 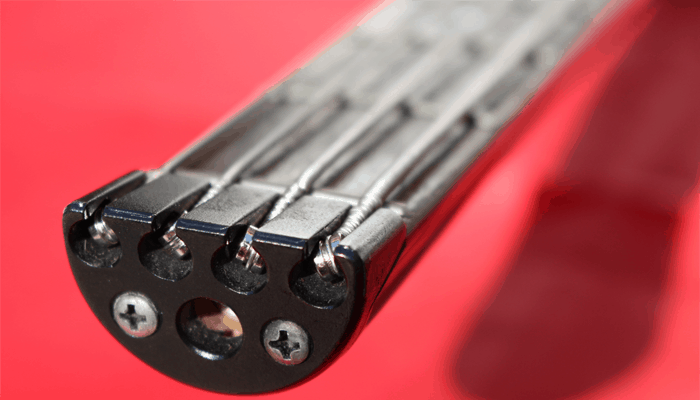 Under-saddle pick-ups are also an offshoot Piezo pick-ups but their placement is under the saddle as the name clearly states typically between bridge and soundboard using the soundboard to resonate. There are other transducer based pick-ups also called contact pick-ups which resemble a doctors stethoscope somewhat. Though distinctly different from the Piezo they work in very similar ways. Both of them function in direct contact with the guitar and they both measure the pressure of the string vibrations. Then the signal is pre-amplified before it is sent as an output in the same manner as a Piezo the main difference being they are generally attached to the soundboard rather than below bridge. This is what gives them a more natural tone than a Piezo however they are prone to a bit of feedback at very high volumes. Some will require modification to mount them. Sound-hole pick-ups are similar to a common electric guitar magnetic pick-up they generate a signal from the disturbance within the magnetic field but require steel strings to function. Some models allow for height adjustments to the pick ups similar to those on electric guitars. Whilst very accurate they can be perceived as sterile sounding but many offer tone adjustment to color the signal with equalization you want highlighted. They are slightly more vulnerable to feeding than a Piezo device. 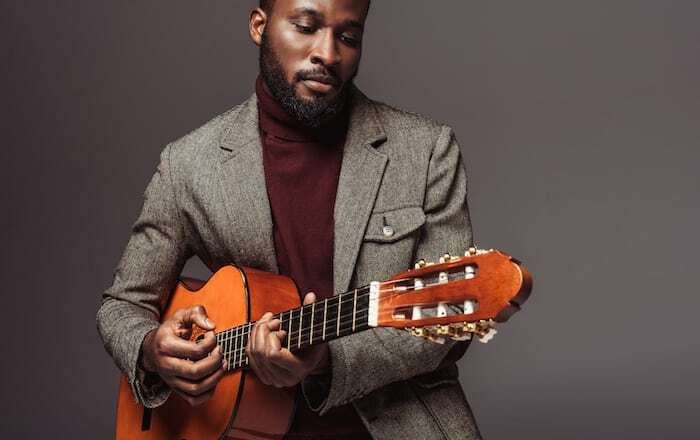 In-guitar microphones are another option whilst strictly speaking are not pickups, there are 'blended model' devices these days which combine a traditional pick up with a mic (which works with coil stacks) then blend the two signals. Some allow for control over how much of each signal is prevalent in the mix. Which really combats the feedback issues. A great blended in guitar mic will probably set you back a fair bit but arguably provides the best sound option for bigger gig venues. 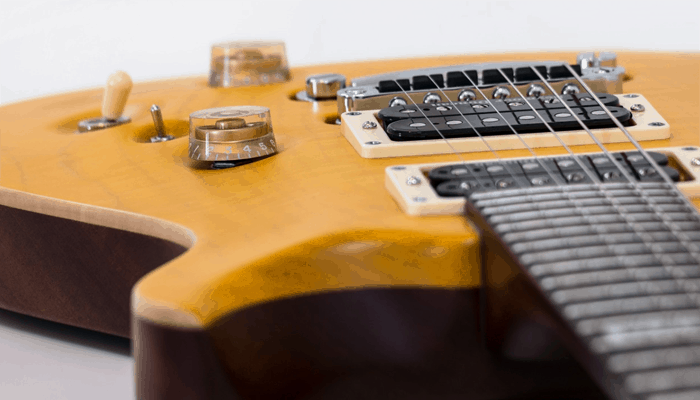 The overall price comes down to two main things one, the budget you have which will determine whether you're looking at high end or low end models and the type of pickup you commit to choosing. It is always recommended to seek professional installation with Piezo/under-saddle types of pickups and some other soundboard contact pickups, which is inevitably an additional cost unless you're fortunate enough to know someone in the know. That being said, providing your acoustic guitar with electrical capabilities need not be a huge expense with a host of affordable devices that mirror their pricier rivals, the spend can be kept relatively low. This is especially true for hobby guitarists who won't have as many demanding high-spec requirements. Again this is strictly relevant to the type you buy. Opting for a clip in is clearly the easiest route. Pickup examples that involve taking apart your guitar or need drilling /gluing is something best left to professionals if your guitar is especially prized. Despite the warnings it is a relatively simple process and one you can benefit from learning how to do. If you are going to attempt to install for your self. We recommend practicing on a cheap acoustic, you can usually pickup a bargain at a thrift shop you don't need to worry too much about the quality if it is essentially going to be a prototype. The main modification each typically require is to drill the end pin to a larger size adequate for running the wires out of this is super easy and just really acquires due care and attention. Most pickups that are placed internally will need to have the spot sanded, again a easy enough job. Some need gluing others are self adhesive. You may need a mirror to get a good look at what is going on inside. Under saddle style pickups will require saddle and bridge removal which needs to be done painstakingly especially with a cheap acoustic or particularly old guitar. The majority of our top ten picks have been welcomed by consumers, given great feedback and reviews. Defining what the best sounding pick up is tough because sound itself is very subjective. 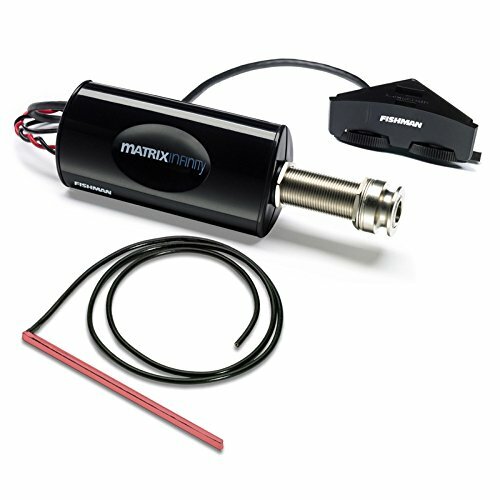 If you are looking to give your acoustic a sound enhancement you could try Fishman Matrix Infinity. If you would prefer something that is true to your baby's original tone you might find the L.R Baggs SL better suits your needs. If you find yourself unsure, we advise checking out a few you tube video reviews as they provide a better look (and listen) to some of the features which goes beyond the limits of text based descriptions. This however, will still only give an impression of it's capabilities with the sound of the video compressed through the you tube rendering process! One school of thought is to go with a brand you know and also remember that professional sound usually comes with a reflective street price. If you are purchasing something for your ears only, this isn't necessary to adhere to there are plenty of great sounding alternative to high end models. If you are opting for magnetic sound-hole pickup you might want to look for one with Humbuckers, as with electric guitars the pick-ups are susceptible to picking up a background hum. 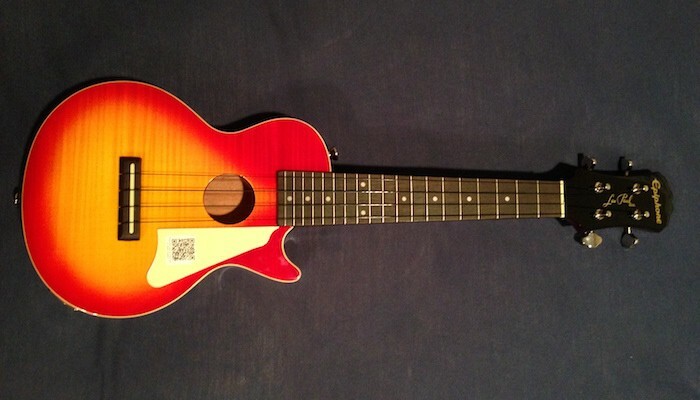 A Humbucker type of acoustic pickup will help tremendously. Background hum is picked up by coils induce a voltage through its 2 coils but because each is wound in reverse to one another ambient hum induces an equal voltage in each coil, the induced voltages cancel each other out. The Fishman Rare Earth Humbucking pickup would be a good purchase if you are looking for the best sound-hole pick up. From the above reviews the top choice would be the Fishman matrix infinity under-saddle Piezo pickup a sit features an award winning legendary under saddle Piezo with the addition of a mic it really is quite unbeatable quality. The benefits of buying a Pickup to fit for your acoustic far outweigh the cons that come with them. 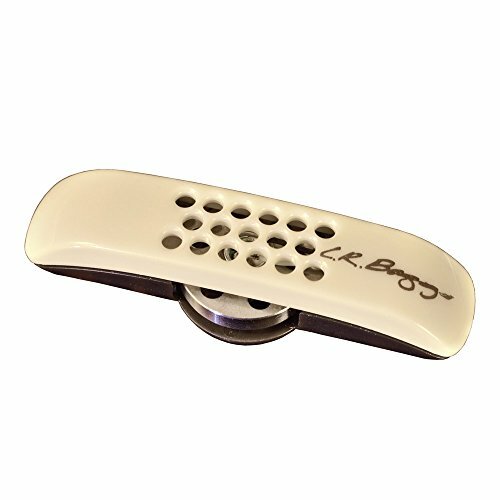 Whilst some pickup types have their drawbacks, manufacturers are coming up with ways around them for example, the blended systems available such as the L.R Bragg models we have listed which use two sound capture devices simultaneously and have anti-feedback technology incorporated within them. 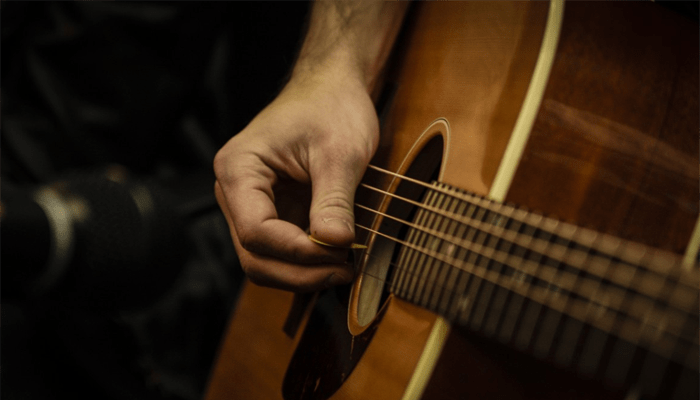 For professional stage performance it is recommend to get a Piezo or buy one of the top acoustic-electric guitars if you're truly serious about getting anywhere with your music. But if you just feel the need shake things up a bit or mess around with guitar sounds for kicks you probably don't need to be drilling holes in your guitar anytime soon! Seasoned professionals aside the choice of pickup options is truly yours and needn't break the bank with an array of budget options available. Armed with your new found knowledge hopefully you can hunt down the best acoustic pick up for your guitar. If you have your heart set on installing modifications yourself we hope you heed our advice about practicing with a throw away acoustic! As it is a useful skill we advise that there are any useful DIY style videos with informative step by step instructions (sometimes even brand specific content) to help advise you every step of the way if this is something you are adamant about exploring for yourself. The Latin origin of the word Piezo shares its roots with the piezein which mean to press or squeeze something. This is a particularly fitting imagery for the description of how the electronics in a Piezo work. The electric charge that accumulates in certain solids as they respond to stress applied to them is known as piezoelectric charge.